An eye examination at Visions of Witham is more than just a sight test. Your sight is important to us and the service we provide reflects this. 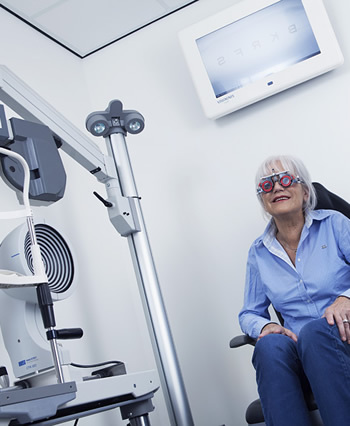 As well as measuring for any necessary prescription you may require for spectacles or contact lenses, we will also conduct various tests for general health conditions that can be monitored through your eyes. At your first examination we will record information regarding you health and your eyes, this will allow us to monitor even the slightest changes on subsequent visits. This is why it is so important to have an eye examination regularly, even if you do not need spectacles.